Drain capers and dry on a paper towel-lined plate. In a small pan, heat about ¼ inch of olive oil over medium-high heat. Fry the capers a few minutes until they start to burst open. With a slotted spoon, take them out and cool on a paper towel-lined plate. 3. Line a sheet pan (AKA cookie sheet) with parchment paper. Lay the pieces of prosciutto on one side. To make the Parmesan crisps, use a tablespoon to measure and add one heaping mound of Parmesan cheese onto the other side of the sheet and pat down slightly. Repeat until you have 8 mounds, spacing them apart a little. Put the prosciutto and cheese in the oven for 5-6 minutes, until the cheese is a light golden brown and the prosciutto is crispy. Once cooled, break prosciutto into smaller pieces. 4. Wash and cut your romaine lettuce and put into large bowl. 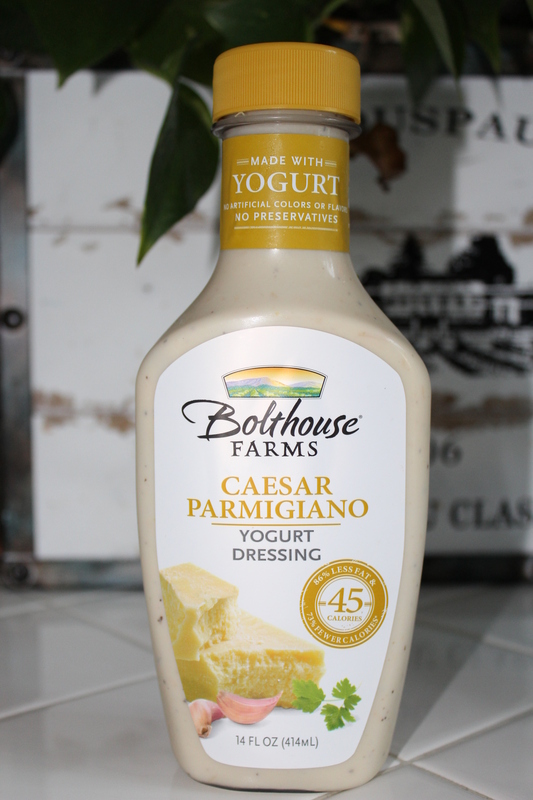 Toss romaine with salad dressing. Divide into 4 bowls. 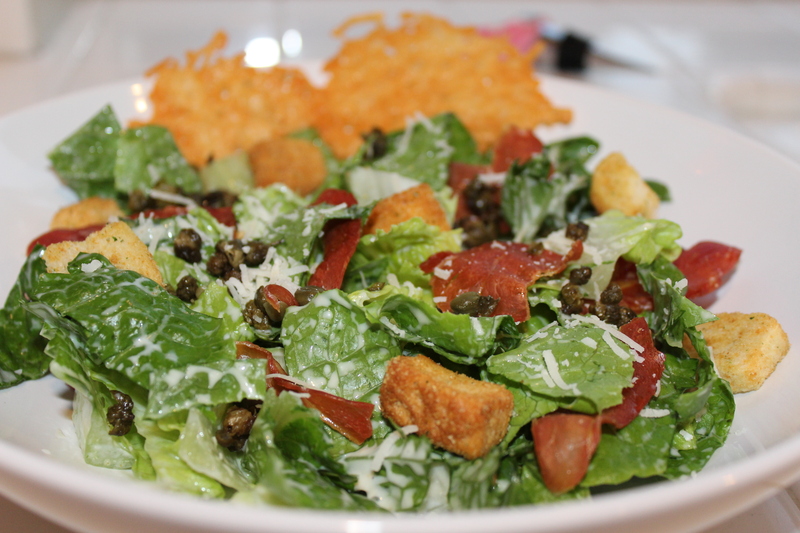 Top with croutons, fried capers, prosciutto pieces, a sprinkle of extra parm cheese, and the Parmesan cheese disks (which you can leave whole or break into pieces). Cheers!